Horizon believes we are stronger together, so working with other churches and organizations in our community is a big part of how we do life. We are fortunate to maintain longstanding relationships with several other nonprofits and ministries, a few of which are outlined below. Horizon was privileged to help found this incredible organization that works diligently to end human trafficking in the Baltimore region. Horizon's international stewardship focuses on a specific region of the world in partnership with Grace City Church and Orphan Network. Over the years, we have sent many teams to Nicaragua to serve in orphanages and collaborate with the local church there to support their mission of serving their community. We also help fund feeding programs that provide meals for kids who wouldn’t otherwise receive enough to eat. The Hope Springs ministry serves people who are infected and affected by HIV in Baltimore. HIV has quietly destroyed Baltimore for years, and Hope Springs has helped the church to finally begin to engage in the issue. The Assistance Center of Towson Churches aims to support people in need in the greater Towson area. Many people who are homeless, hungry, or otherwise in need find their way to the ACTC, which provides strategic and ongoing support to those who come through their doors. In addition to donating funds, Horizon also assists with various food drives throughout the year. The Youth for Christ ministry serves high school and middle school students across the country to share the good news of Jesus Christ. Horizon specifically focuses on a local club in Towson by supporting the staff and helping to fund camp trips. Many from our church have served on staff or volunteered with YFC. The Campus Crusade for Christ ministry at Towson University seeks to share Christ with students on campus. 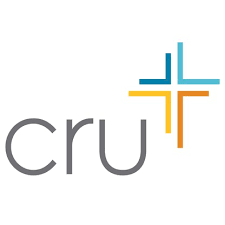 Many of Horizon's college students serve on CRU. We support the staff who spend time on campus to relationally connect with students.